MOVE IN READY! All NEW roof, windows, patio slider, driveway, garage door, patio, landscape beds, stainless appliances! Fresh paint and new carpet, refinished wood flooring throughout. Upgraded plumbing & electrical wiring w/new electrical panel. EVERY attention to detail on this meticulously remodeled home. 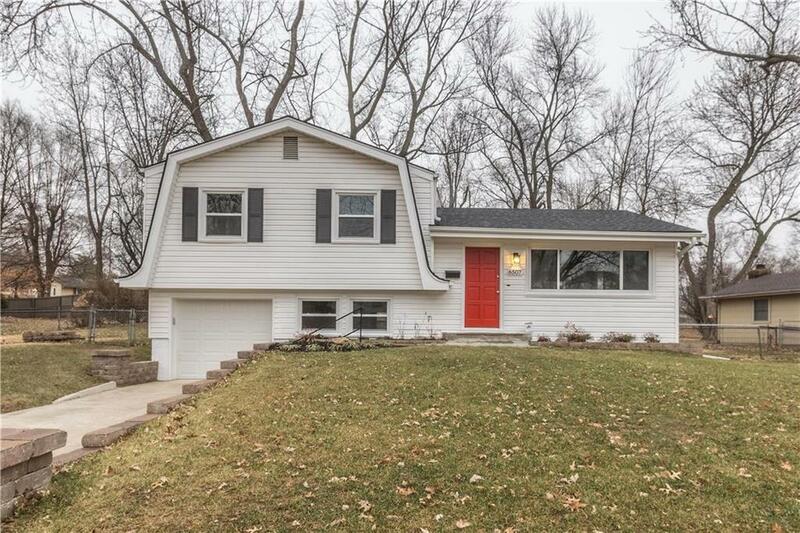 It has maintenance free vinyl siding, offers nice shade & sits on a quiet street w/very low traffic in Meadowbrook North. Includes Google Fiber availability and garage door with smartphone/Wi-FI capabilities. Directions: NE Antioch Road to NE 64th Street, East to N. Walrond Avenue, North to property.